Note: This post contains affiliate links, which means if you buy the product I may receive some monetary compensation. I only recommend products I use and love! Realtors. Of this list, Realtors are the most vulnerable—this quote drives the point home (pun intended) of why real estate agents take the number one spot, “A real estate agent makes a living meeting a complete stranger in an empty home,” says Tracey Hawkins, owner and safety product speaker at Safety and Security Source. According to the article the Top 6 Crimes Against Real Estate Agents, “Agents may encounter squatters, angry former homeowners or even encounter abandoned pets that may be aggressive,” says Hawkins. “These properties are often meth labs, or pot houses, and encroaching upon them is dangerous.” The article goes on to say, violence is quite a problem in the field. The real estate and rental and leasing occupation has seen an average of 75 deaths a year from 2003 to 2009, according to the Bureau of Labor and Statistics. Hawkins is seeing more agents carrying pepper spray, guns and Taser guns as safety measures. Try to have at least one other person working the open house with you. Check all rooms when entering for the first time, determine an escape route. Make sure all deadbolts are unlocked to facilitate a faster escape. Notify someone in your office, your answering service, a friend that you will be calling in every hour. And if you do not, that they are to call you. Inform neighbors you will be showing the house and ask them to keep an eye and ear out for anything out of the ordinary. Do not assume everyone has left the house at the end of the open house. Check all rooms and backyard prior to locking doors. And be prepared to defend yourself if necessary! 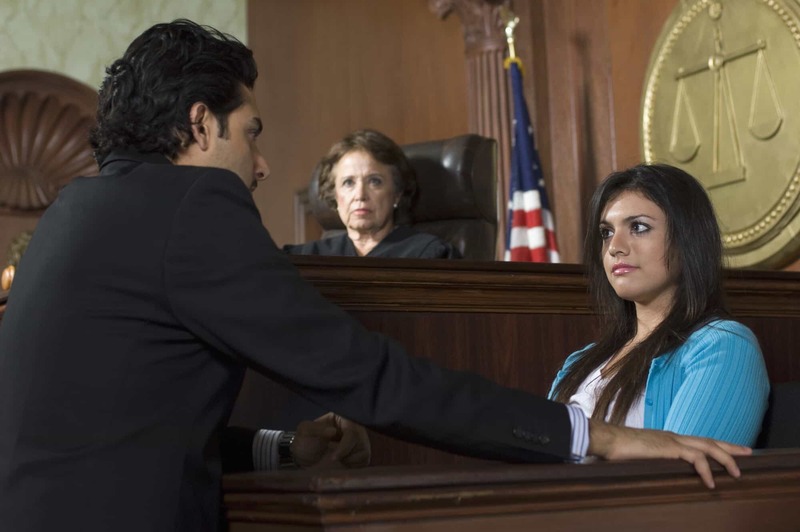 Attorneys can become targets because of dissatisfied or disgruntled clients. And like physicians and judges, attorneys are in the criminal’s cross-hairs because they are often in the 1% of income earners. A survey based study of 22 states, conducted over the past 10 years, show 35.5 percent to 46.5 of registered attorneys have been threatened or assaulted, claims Kelson. These threats included stalking, phone calls, letters, emails, texts, online posts, verbal threats of violence or death, and attempts to hire hitmen. The actual acts of violence ranged from vandalism and tampering with vehicles to physical assaults. The article went on to state that those in family or criminal law are at the highest risk. These are powder kegs of emotion to start with, and do not need much of an ignition source to blow! Acts of violence or intimidation happen mostly at courthouses or in attorneys’ offices, but they were also reported to have happened while the attorneys were traveling, in jails or prisons visiting clients, and at their own homes. Process Servers are the proverbial messengers that could have coined that phrase- “Don’t shoot the Messenger!” The article Assault on Process Servers Continues in 2015 states that many people being served become hostile, while process servers are just trying to do their job. They are also upholding constitutional rights by providing the defendant with due process. Since 2012 over 100 assaults have been reported. These guys and gals in this profession, often get cameos in dramas on television, but in real life, they really experience a lot of dangerous drama. Interior Designers who go to locations to meet clients face similar exposure and risk as real estate agents. Judges are protected by federal law. It is illegal to threaten a government official but it happens quite often. The article, Violence Against Attorneys and Judges: Protecting Yourself Before and After a Threat states that judges come in contact with lots of high-risk litigants, that suffer a host of conditions, i.e., Paranoid Personality Disorder, Antisocial Personality Disorder, Borderline Personality Disorder, Narcissistic Personality Disorder and a litany of other disorders with a whole host of behaviors that can be dangerous for judges. These persons are higher risk for future violence, including homicide, suicide attempts. These often undiagnosed mental illnesses may express themselves in criminal violence. Certain explosive situations can compound the risk. Paranoid delusions may make these people view the justice system and by extension, the judge as the enemy. These threats can be covert or more concealed. Pharmacist have great potential to be targeted because of the opioid epidemic and access to controlled substances. The Pharmacy Times states that robberies are by far the biggest concern and by the very nature of the product, you become a target. They further state that in a large number of cases the suspect has been in the establishment before and is sizing up the layout, security and the sense of awareness by employees. One key recommendation the site makes is that no one ever opens or closes the store alone. I would also add that the pharmacist or tech take different routes home and watch for signs of being followed. And to always be on the lookout for anything suspicious. Insurance agents face similar threats to Interior Designers and Real Estate Agents. 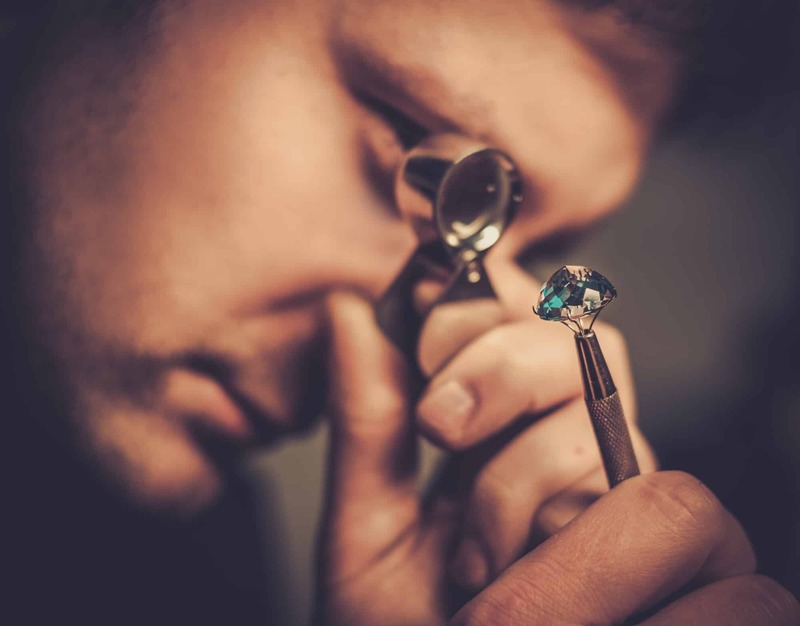 Jewelers have the biggest risk of robbery because of the high ticket, high value items such as diamonds, gold, gemstones, jewelry and expensive watches that they often transport on their person to and from home to their respective places of business. The online resource, Jewelers’ Security Alliance: Crimes Against U.S. Jewelry Firms Up 12% In 2017 states that there were five homicides of jewelers in 2017 down from six in 2016. Between 1996 and 2006 there were 82 jewelers killed. By its very nature this is a dangerous profession! 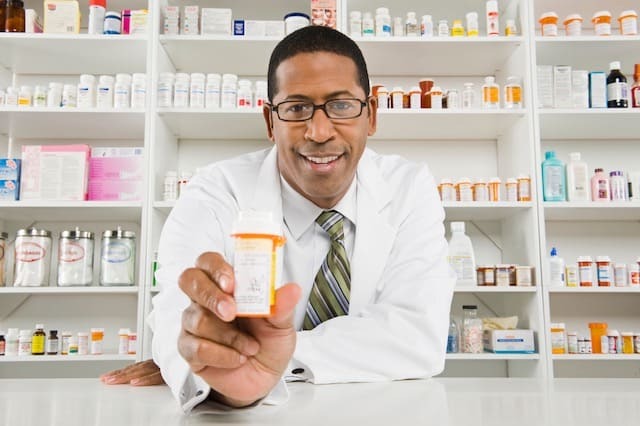 Jewelers should take all of the security precautions of pharmacist. Business owners are often targets if the business is a cash business or if the business is doing well. Financial success can catapult the owner into the sights of a would-be criminal. Women in these professions become an even more attractive target to the predatory criminal looking for an easier target. The Government website, Office for Women takes the position that violence against women can have significant impacts on the workplace. They further report that workplaces can be used as places for perpetrators to harass women and to locate their whereabouts. Most of the above occupations are off site and remote, which gives greater pause, because these women are often isolated and alone, which makes them more vulnerable to attacks especially if the offender stalks his victims. Each of these professions has its own challenges and inherent dangers. Each and every one of these professions should seriously consider concealed weapons training and should carry a firearm for added security and personal protection, (if in or around the Windy City, look up Pew Pew Guru for Chicago firearm training profiled in the Patch Newspaper) With training in marksmanship and the law, professionals can effectively learn to protect themselves with a handgun and avoid becoming a victim. I Firmly Believe These Professions Should Concealed Carry! Stigma aside, carrying a firearm is a sensible way to reduce your risk of becoming a statistic and a smart choice to ensure that you win an armed encounter. In the meantime, I will continue to scream the mantra—Don’t Be A Victim, from the top of my lungs to anyone who will listen! 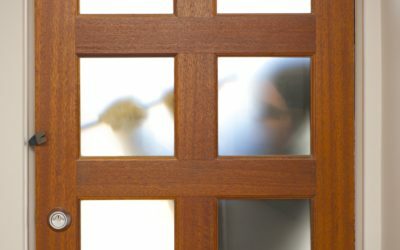 Why Are You Vulnerable To A Home Invasion? I hadn’t previously considered the risks pharmacists may face due to the current opioid crisis. Very eye opening! Yes, their risk are extremely high! There are reports of pharmacist being stalked, kidnapped and killed by addicts looking for drugs! Yes all of these carry risk. Fantastic read, thank you very much. Before having children I worked in Real Estste & it really is quite dangerous meeting complete strangers in empty homes. I’m surprised there isn’t more situations given the nature of the job. Thanks for sharing that insider perspective! Wow! that’s truly an eyeopener. It’s risk everywhere and you are so right professionals need to carry arms now. That’s the mindset I take. Be prepared —like the Boy Scout motto. I would have never thought of a judge Great article. I think most judges do carry for that very reason. That is a high risk position that could easily be on the list! Do you find that women are open to carrying or when they find out you do- they have negative feelings towards it? How did you get past the stigma or were you always open to it? Very interesting points! I never actually thought about the danger involved in some of these carers! Yes they each carry an inherant risk that requires some degree of planning and forethought in regards to their personal protection and safety. Super interesting post! I can truly say I had not thought about real estate agents being so vulnerable, but it makes so much sense! I was blown away too Lauren! They essentially meet strangers in vacant or empty houses. It doesn’t get much more vulnerable than that!